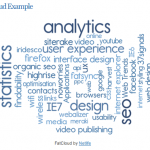 I am quite confident that you know Wordle, a web-based Java application that arranges words from a paragraph, or from a webpage by colors, directions, size ratio and much more and generates banners. 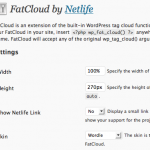 Recently I have found a plugin, called FatCloud, developed by Brad Pollard and Neil E. Pearson can create tag cloud for your WordPress blog offering same features as Wordle does. 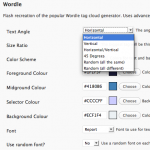 A flash-based tag cloud plugin for your WordPress blog. 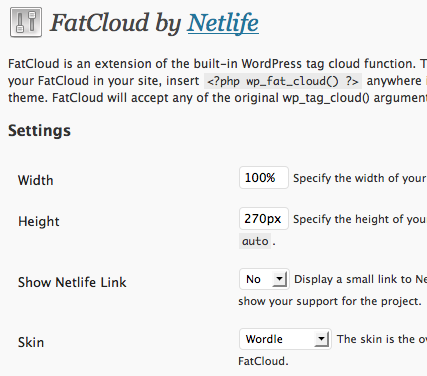 FatCloud, by Netlife, comes with 2 built in themes: ‘Simple Skin’ and the popular ‘Wordle’ theme. 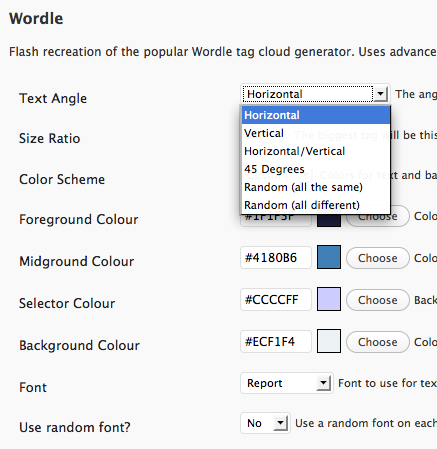 Choose text angle, colour, size ratio and much more. 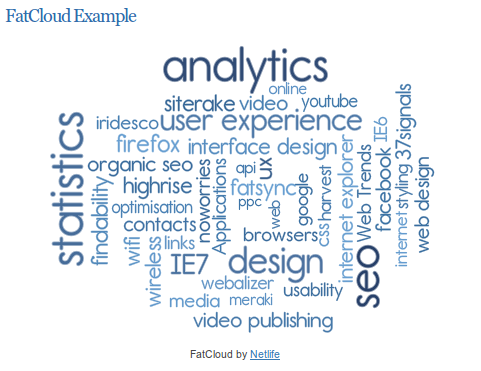 Beautiful tag clouds that are accessible & SEO friendly. Only observation I have about the plugin is that the plugin is not regularly maintained. According to the WordPress plugin directory info, the plugin was last updated on September, 2009! Previous post: What else I can do beyond the famous WordPress 5-minute installations to make it more secure?